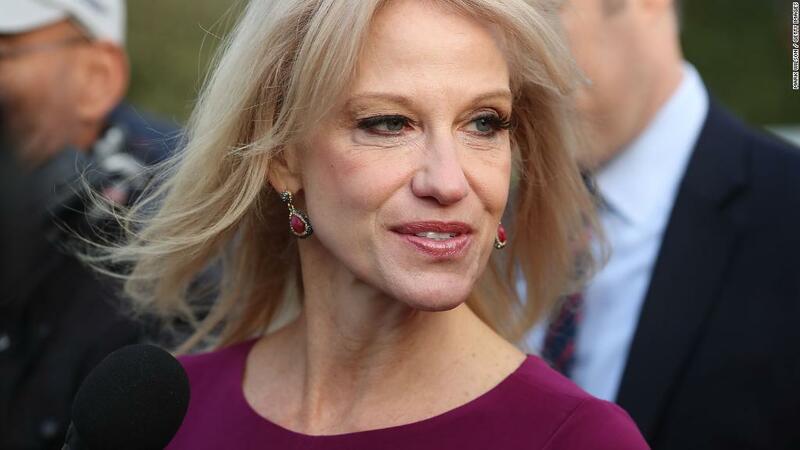 Kellyanne Conway thinks the problem of White House leaks has been greatly exaggerated, even though a large amount of news coverage has been built around leaked comments by White House staffers. "[It's] overblown by the media," Conway told CNN's Brian Stelter Sunday on "Reliable Sources." A few people in the Trump administration leak to advance their personal agendas, but "hundreds and hundreds" do not, she said. Conway, counselor to President Trump, did say that some staffers in the White House "like to settle personal scores by talking to the press." But Trump understands that's "the way the game is played," she said. To be sure, the White House was shaken up after a leak about Senator John McCain earlier this month. Staffer Kelly Sadler's comments that McCain's opinion of Gina Haspel, who was confirmed last Thursday as CIA director, didn't matter because "he's dying anyway" led to changes in the West Wing and a tirade from Trump. A large daily communications staff meeting has since been indefinitely suspended. And Trump tweeted last week that "leakers are traitors and cowards, and we will find out who they are!" Conway confirmed Sunday that there is an active investigation into White House leaks, but declined to say whether anyone has been fired. Asked if the problem of leaks is exacerbated by the lack of a White House communications director, Conway demurred. "A lot of the leaks don't come from the press and comms department," Conway said. "The president knows that, because he sees who's in different meetings." She would not say whether Trump plans to hire a new communications director to fill the spot left open by Hope Hicks, who resigned from the White House at the end of February. She added: "The president is a great communications director and he's got wonderful people supporting him."